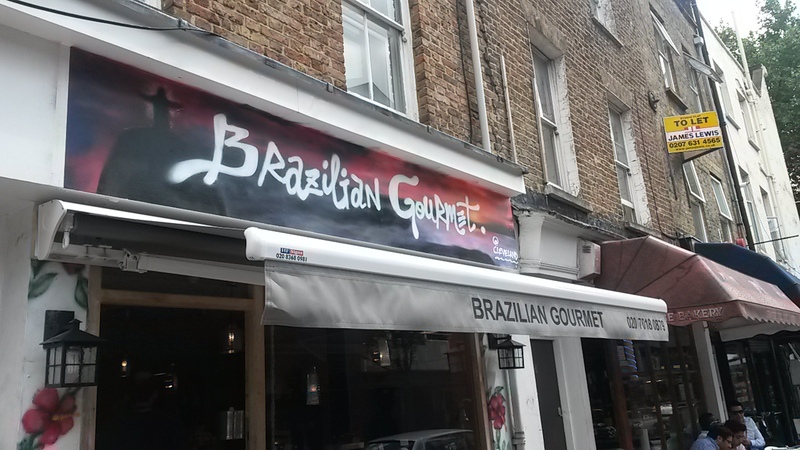 Brazilian and gourmet aren’t two words that you’d normally expected together, and this cafe, despite its name isn’t what I’d normally associate with gourmet. Located on Cleveland Street near a host of other similar sized eateries, it’s has a much more rustic, street food vibe, than high-end gourmet cuisine. Despite Brazil being one of the biggest exporters of coffee, this place was sadly let down by its cappuccinos. 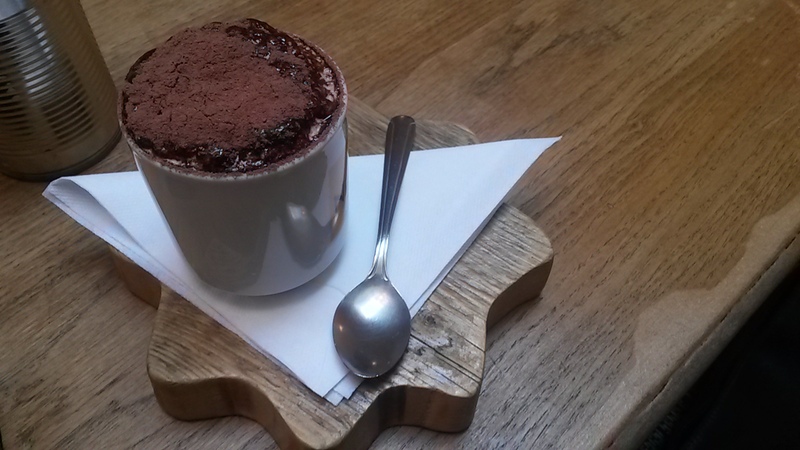 Served in a tall mug with a thick foam and huge dollops of chocolate on top, it was difficult to reach the actual coffee without getting a face full of topping. Once it was found, it wasn’t too bad, but it was a sad end for some probably very good coffee beans. With barrels and bare wood tables outside and rustic wood tables and eclectic posters and objet d’art inside, this had a laid back and relaxed feel. The only downside really was the TV playing some random day time show – but maybe that was part of the Brazilian feel. As mentioned this serves street food and traditional Brazilian cuisine. Dishes include big breaded pockets of cheese, sausage and salad and local stews and rice dishes. 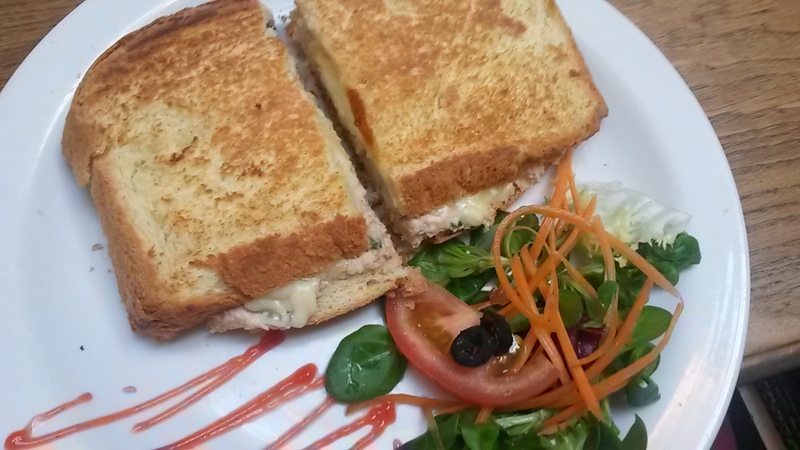 I tried the tuna melt which was excellent served in home-made bread which was light and fluffy with a good crunch. It’s great to see somewhere doing something a bit different and it was all at a reasonable price. Very friendly, if not a little too friendly. Waiters were waiting by the door to help you out, whether you wanted to eat in or takeaway. The food came quick and the chat was friendly but not intrusive. Not much – the food was available to take-away and there was free wifi. 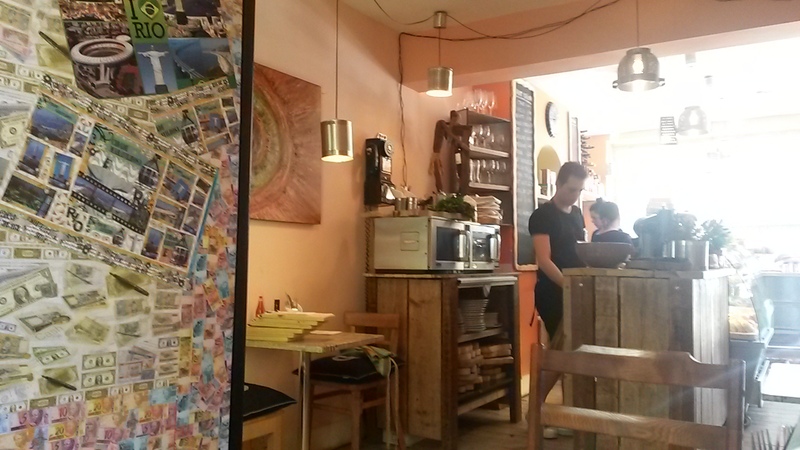 A great place for lunch with an interesting, hearty and affordable menu and cool atmosphere. Sadly, it was let down by the chocolate covered coffee. Brazilians should know how to treat their beans better.